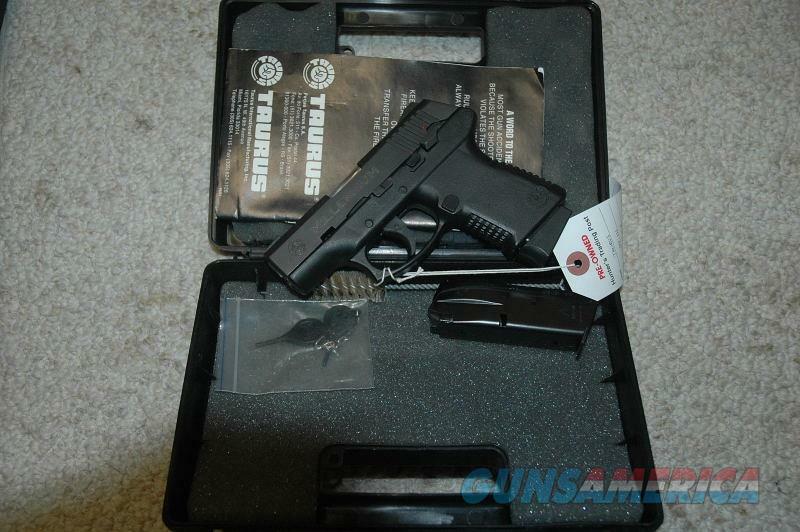 Description: This is a nice used Taurus PT 111 for sale chambered in 9 MM. The barrel length is 3.25 inches long and this comes with (2) 10-shot magazines. The bore is in excellent condition. The finish on the slide is also very good, except the extractor had some surface rust which has been cleaned up. Functionally this pistol works well and comes with the original box and papers. This item is for sale in my retail store and could be sold while the ad is active. Please ask for more pictures if needed.